If you are doing your own auto repairs, or own a repair or auto body shop, you may find that your current parts suppliers can sometimes have a difficult time finding BMW M Coupe parts. But not if you use one of the largest and most widely used parts locator services on the planet. UNeedAPart.com has over 7,000 parts suppliers within our network, so matching you up with the BMW M Coupe parts you need is not only easy, it's quick as well. Having over 7,000 parts suppliers at your disposal certainly has its advantages. Within seconds, you can be matched up with parts suppliers carrying everything including BMW M Coupe performance parts. Plus, you'll only be matched up with dealers who have the BMW M Coupe parts in stock, so there's no time being wasted - and they'll send you quotes so you can start comparison shopping right away. If you run an auto body shop, you can easily search and locate a BMW M Coupe part right from the computer in your garage. In addition to the huge selection, there's no expensive software to buy, so UNeedAPart.com can be easily accessed at work or at home for the ultimate in parts locating convenience. 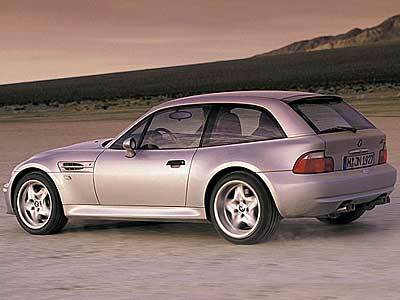 Finding the right BMW M Coupe parts is easy! To get started, simply use the Parts Request boxes at the top and/or side of the page. You will instantly be matched with auto parts dealers that meet your search criteria. UNeedAPart.com helps you find the new or used auto body parts you need in no time!